Subject to the terms and conditions set forth in this Agreement, NPPI grants you a non-exclusive, non-transferable, limited right to access, use and display this site and the materials thereon. You agree not to interrupt or attempt to interrupt the operation of the site in any way. NPPI authorizes you to view and download the information (“Materials”) at this Web site (“Site”) only for your personal, non-commercial use. This authorization is not a transfer of title in the Materials and copies of the Materials and is subject to the following restrictions: 1) you must retain, on all copies of the Materials downloaded, all copyright and other proprietary notices contained in the Materials; 2) you may not modify the Materials in any way or reproduce, publicly display, perform, distribute or otherwise use them for any public or commercial purpose; and 3) you must not transfer the Materials to any other person unless you give them notice of, and they agree to accept, the obligations arising under these terms and conditions of use. You agree to abide by all additional restrictions displayed on the Site as it may be updated from time to time. This Site, including all Materials, is copyrighted and protected by worldwide copyright laws and treaty provisions. You agree to comply with all copyright laws worldwide in your use of this Site and to prevent any unauthorized copying of the Materials. Except as expressly provided herein, NPPI does not grant any express or implied right to you under any patents, trademarks, copyrights or trade secret information. THE MATERIALS MAY CONTAIN INACCURACIES AND TYPOGRAPHICAL ERRORS. NPPI DOES NOT WARRANT THE ACCURACY OR COMPLETENESS OF THE MATERIALS OR THE RELIABILITY OF ANY ADVICE, OPINION, STATEMENT OR OTHER INFORMATION DISPLAYED OR DISTRIBUTED THROUGH THE SITE. YOU ACKNOWLEDGE THAT ANY RELIANCE ON ANY SUCH OPINION, ADVICE, STATEMENT, MEMORANDUM, OR INFORMATION SHALL BE AT YOUR SOLE RISK. NPPI RESERVES THE RIGHT, IN ITS SOLE DISCRETION, TO CORRECT ANY ERRORS OR OMISSIONS IN ANY PORTION OF THE SITE. NPPI MAY MAKE ANY OTHER CHANGES TO THE SITE, THE MATERIALS AND THE PRODUCTS, PROGRAMS, SERVICES OR PRICES (IF ANY) DESCRIBED IN THE SITE AT ANY TIME WITHOUT NOTICE. As a convenience to you, NPPI may provide, on this Site, links to Web sites operated by other entities. If you use these sites, you will leave this Site. If you decide to visit any linked site, you do so at your own risk and it is your responsibility to take all protective measures to guard against viruses or other destructive elements. NPPI makes no warranty or representation regarding, and does not endorse, any linked Web sites or the information appearing thereon or any of the products or services described thereon. Links do not imply that NPPI or this Site sponsors, endorses, is affiliated or associated with, or is legally authorized to use any trademark, trade name, logo or copyright symbol displayed in or accessible through the links, or that any linked site is authorized to use any trademark, trade name, logo or copyright symbol of NPPI or any of its affiliates or subsidiaries. All links to the Site must be approved in writing by NPPI, except that NPPI consents to links in which: 1) the link is a text-only link containing only the name “NPPI”; 2) the link “points” only to www.nppi.com and not to deeper pages; 3) the link, when activated by a user, displays that page full-screen in a fully operable and navigable browser window and not within a “frame” on the linked website; and 4) the appearance, position, and other aspects of the link may neither create the false appearance that an entity or its activities or products are associated with or sponsored by NPPI nor be such as to damage or dilute the goodwill associated with the name and trademarks of NPPI or its Affiliates. NPPI reserves the right to revoke this consent to link at any time in its sole discretion. IN NO EVENT SHALL NPPI OR ANY OF ITS SUBSIDIARIES BE LIABLE TO ANY ENTITY FOR ANY DIRECT, INDIRECT, SPECIAL, CONSEQUENTIAL OR OTHER DAMAGES (INCLUDING, WITHOUT LIMITATION, ANY LOST PROFITS, BUSINESS INTERRUPTION, LOSS OF INFORMATION, PROGRAMS OR OTHER DATA ON YOUR INFORMATION HANDLING SYSTEM) THAT ARE RELATED TO THE USE OF, OR THE INABILITY TO USE, THE CONTENT, MATERIALS, AND FUNCTIONS OF THE SITE OR ANY LINKED WEBSITE, EVEN IF NPPI IS EXPRESSLY ADVISED OF THE POSSIBILITY OF SUCH DAMAGES. NPPI reserves the right, at its sole discretion, to change, modify, add or remove any portion of this Agreement in whole or in part, at any time. Changes in this Agreement will be effective when notice of such change is posted. Your continued use of the Site after any changes to this Agreement are posted will be considered acceptance of those changes. NPPI may terminate, change, suspend or discontinue any aspect of the NPPI Site, including the availability of any features of the Site, at any time. NPPI may also impose limits on certain features and services or restrict your access to parts or all of the Site without notice or liability. NPPI may terminate the authorization, rights and license given above and, upon such termination, you shall immediately destroy all Materials. This Site is controlled, operated and administered by NPPI from its offices within the United States of America. NPPI makes no representation that materials at this site are appropriate or available for use at other locations outside of the United States and access to them from territories where their contents are illegal is prohibited. You may not use the Site or export the Materials in violation of U. S. export laws and regulations. If you access this Site from a location outside of the United States, you are responsible for compliance with all local laws. These Terms and Conditions of use shall be governed by the laws of the state of Minnesota, without giving effect to its conflict of laws provisions. This Agreement constitutes the entire agreement between NPPI and you with respect to your use of the Site. 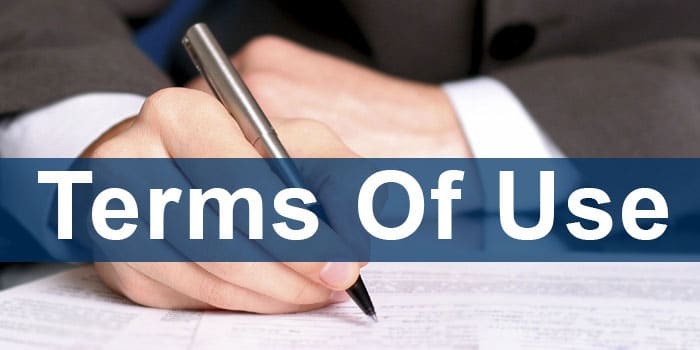 Any cause of action you may have with respect to your use of the Site must be commenced within one (1) year after the claim or cause of action arises. If for any reason a court of competent jurisdiction finds any provision of the Agreement or portion thereof, to be unenforceable, that provision shall be enforced to the maximum extent permissible so as to effect the intent of the Agreement, and the remainder of this Agreement shall continue in full force and effect.